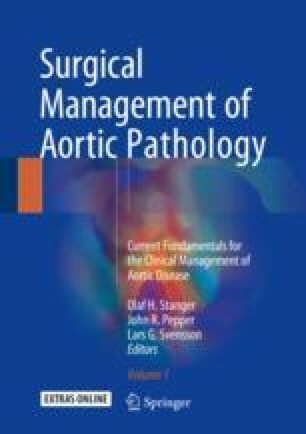 The incidence of aortic paravalvular leaks after surgical valve replacement is estimated to be 2-17%. Aortic paravalvular leaks (PVL) can be asymptomatic and not require treatment or can cause haemolysis or heart failure. If symptomatic or if the severity of the leak is moderate or severe, redo surgery is a therapeutic option, but this is normally accompanied by consistent perioperative risk. A lower risk alternative is percutaneous PVL closure, with a 1-2% risk of periprocedural death or need for reoperation. These procedures are can be very challenging, with a reported rate of procedural success around 80%. This requires that better technical solutions become available in the future. Currently, aortic PVLs are approached with a retrograde transarterial approach, with a dedicated AMPLATZER device. Multimodality imaging planning is key while intraoperative fusion imaging can play a major role to identify the leak.